Description: Circular. 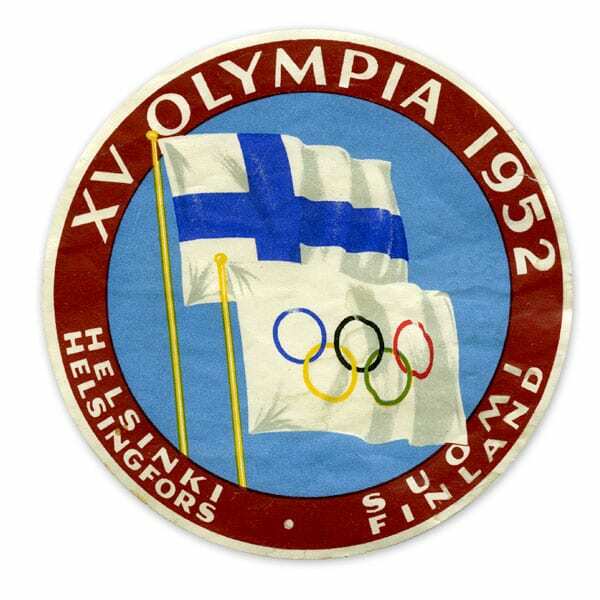 In a brown surrounding band the texts: XV OLYMPIA 1952; HELSINKI HELSINGFORS; SUOMI FINLAND. In the middle on a blue background the Finnish and Olympic flags.